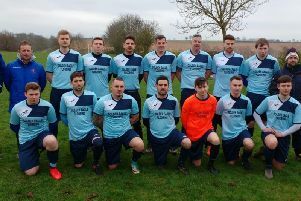 Kettering Nomads booked their place in the final of the NFA Junior Cup after a 2-1 success over Sileby Rangers at Orlingbury Road. The Northants Combination Premier Division high-flyers took another Future Lions United Counties League scalp to earn themselves a clash with league rivals Blisworth in the showpiece, which will be staged at Northampton Town’s PTS Academy Stadium. Darren Capps gave Nomads the lead before Sileby had Elliott Lamb-Johnson sent-off. Chris Di Fante doubled the lead in the second half and Nomads saw it through despite Marcus Birkelund replying for the visitors. 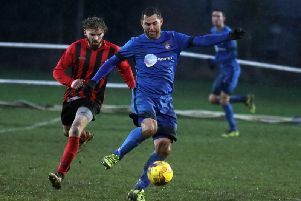 In the United Counties League action, Rothwell Corinthians picked up an excellent point as they held Premier Division leaders Daventry Town to a 2-2 draw. Corinthians took the lead through James Stephenson but the hosts fought back to lead 2-1 before Tom Gudyer secured a crucial point in Corinthians’ quest for survival. It was a tough day for the other local clubs, however. Desborough Town suffered derby-day disappointment as they lost 2-0 at home to Harborough Town and Wellingborough Town were beaten 3-0 by Deeping Rangers at the Dog & Duck. And Whitworth remain rooted to the foot of the table after they went down 3-1 at Newport Pagnell Town. Rushden & Higham United claimed a fine 2-1 victory at Long Buckby in Division One. Lewis Odell and Ben Aidulis were on target for the Lankies. Irchester United picked up a point as they drew 1-1 with Blackstones at Alfred Street, Dale Hamilton earning the Romans as share of the spoils. The three struggling teams all suffered defeats again. Bottom side Raunds Town lost 4-2 at home to Aylestone Park, Burton Park Wanderers were beaten 3-2 by Huntingdon Town at Latimer Park and Thrapston Town were on the end of a 6-0 thrashing at the hands of leaders Lutterworth Town at Chancery Lane.